For Mother’s Day, the guys thought it was a great gift idea for them to have their first Disney golf adventure. I’m still struggling how the fact that I am home with 2 dogs and they are off to Disney World relates to Mother’s Day, but in their eyes, giving me time alone to relax was a great gift (yes, I’m a sucker for their excuses). Since Nick and I have done Disney alone a few times, I think it’s great that they have a Dad and son trip too. Even though they were only there for the weekend, they had a wonderful time. The plan was to golf Saturday and hit the parks on Sunday. The weather cooperated for both, even though it was very warm and muggy. They stayed at Saratoga Springs so it as convenient to the golf course. 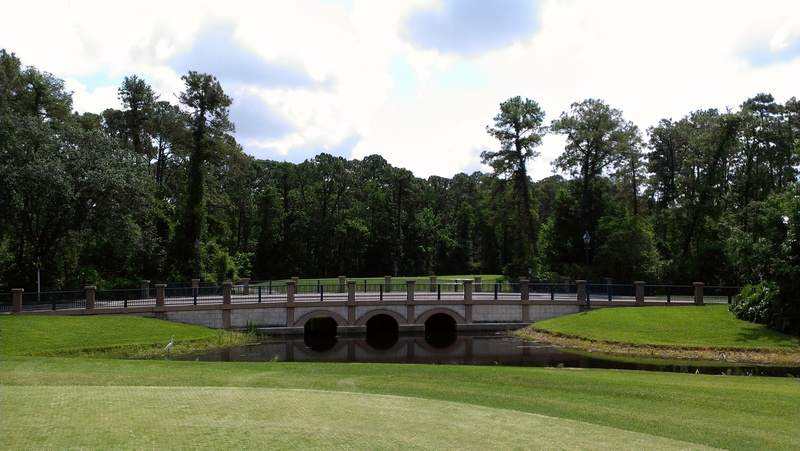 They played at the Lake Buena Vista Golf Course, which is attached to Saratoga Springs. To save on checking bags with the airlines, they decided to rent clubs. It was a great choice on their part since they also received a discount with our DVC membership. 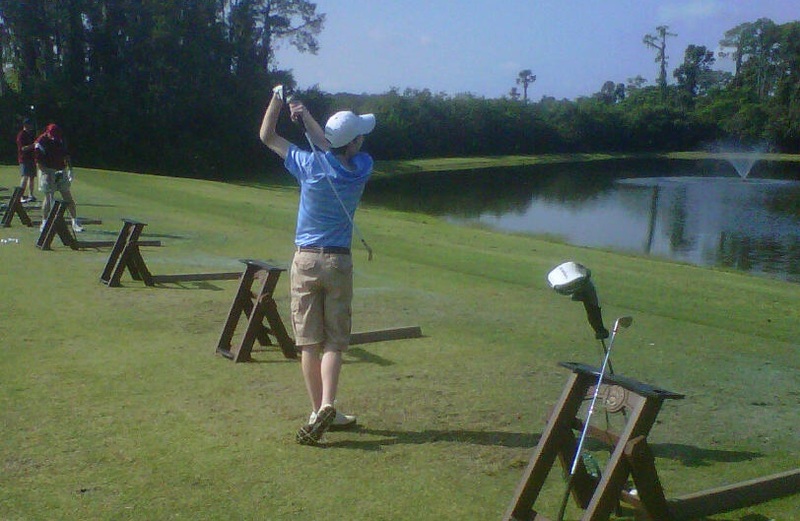 However, Tom forgot to bring balls and tees, which cost more than Nick’s club rental and green fees. Oh well. Lessons learned for next time. They said the course was beautiful. After taking time to warm up at the driving range, they were ready to hit the links. They knew it was going to be a great day of golf when they got their golf cart. 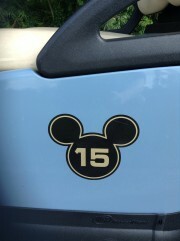 Yes, cart #15, Nick’s hockey #. I have a feeling that is will not be the first or last Disney golf adventure for these two. Next up will be our Mediterranean Cruise and then Nick and I are off to Disney World for the Food and Wine Festival again this fall. This time, we are throwing in the Backstage Tour. Can’t wait.